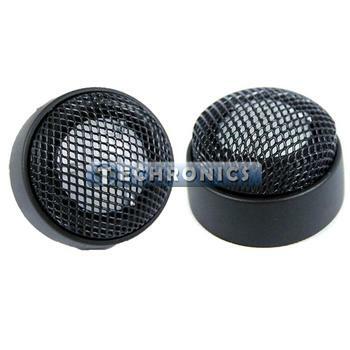 Deep-anodized-aluminum woofer cone ensures incredible detail and accuracy. This material holds its shape regardless of output level, unlike more commonly used materials, such as polypropylene. An incredible 1" deep-anodized-aluminum tweeter with rubber surround is used in the Perfect 5.1 to deliver incredible accuracy and detail. 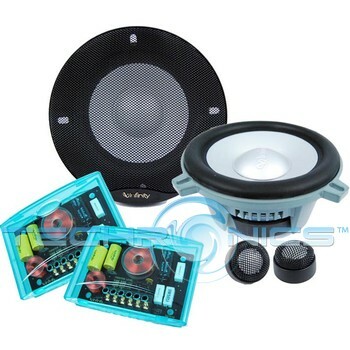 In addition, this edge-driven dome tweeter will handle plenty of power, making the 5.1 a great choice for the enthusiast looking for a system that will sound every bit as good at high output levels as at moderate ones. A precision outboard crossover using a Linquitz-Riley acoustic alignment is used to precisely divide frequencies between the mid-woofer and tweeter. The tweeter crossover frequency is set at 3.5kHz, facilitating exceptional mid-woofer to tweeter transition. This well-executed crossover also provides the ability to adjust tweeter level, allowing you to maximize system performance and imaging based on location.